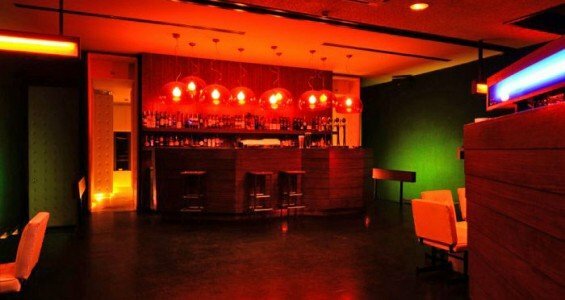 The old movie theatre of Coliseu do Porto, is now Passos Manuel Bar, a bar you have to to visit in Porto. Since it’s opening, it has been a second home for people in Porto related to the fine arts, literature, music and cinema. One can almost walk past it without realizing what’s going on inside its walls. 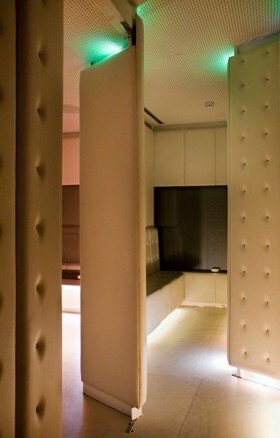 This aura of a well kept secret gives it an intimate atmosphere, contributing to the chummiest of the nights in Porto. Working as plural playhouse for artistic and cultural events, due to its movie theatre which also works as a stage for eclectic music concerts and performances, Passos Manuel is the most important hub in the city for deviant arts. The nights at Passos Manuel are different from whatever you can experience throughout the city. It’s Kubrickian minimalist interior design, (by the way, a mandatory stopover for architectural itineraries) gives one the sense that something crazy is about to happen. And when you wake up the following morning, you know it did. Something misterious always happens at Passos Manuel Bar, in Porto. Due to it’s location, usually it’s not so crowed as the mainstream places you’ll find in downtown Porto, so during the week it’s a quiet place to go for a drink. But, during the weekends, if there’s a party there, you have two choices: one, go somewhere else and the night will be something you have experienced before. 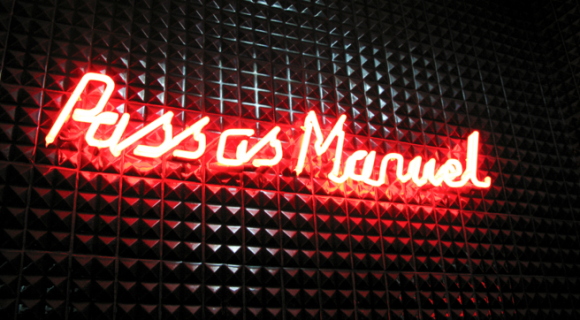 Or, brace yourself for a hell of a time at Passos Manuel. Try Café au Lait to have a glimpse of what’s going on at Passos Manuel, because it’s regular DJs play music there too. Just across the street from Passos Manuel (and I mean literally across the street!) you’ll find Maus Hábitos and further down, Pitch Club. If your night ends around breakfast time, stop by Conga, if you’re into some spicy “bifanas”.